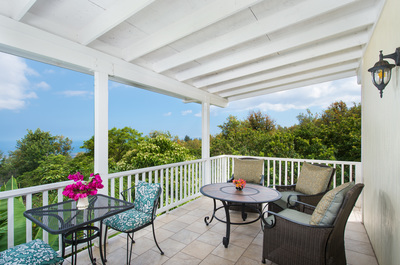 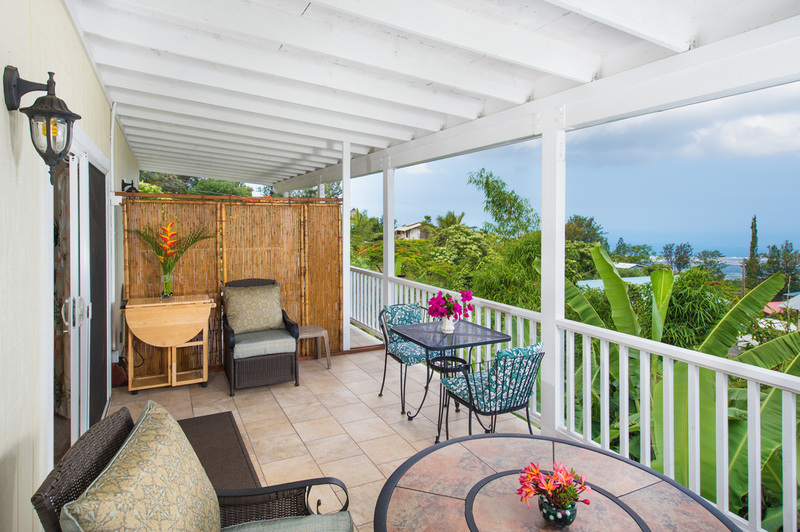 The spacious Orchid and Plumeria Suites are on the top floor and have an ocean view of the Kona Coast. 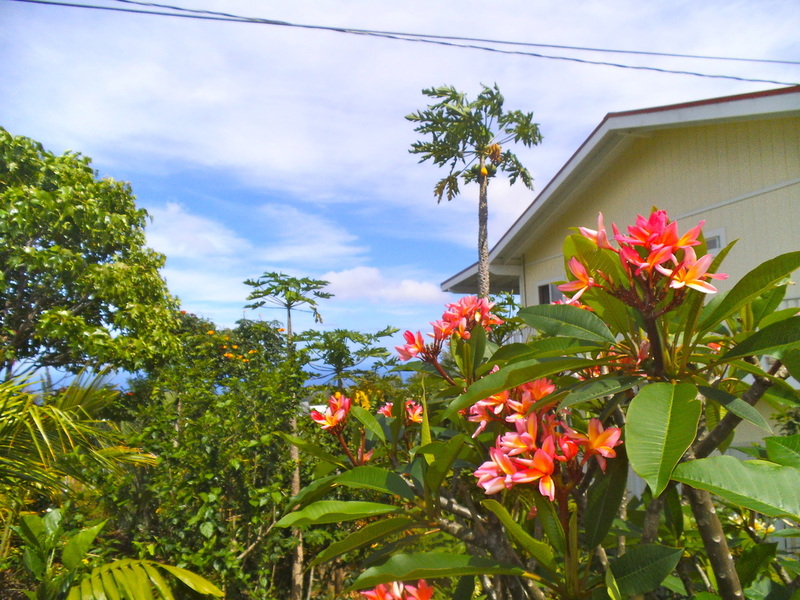 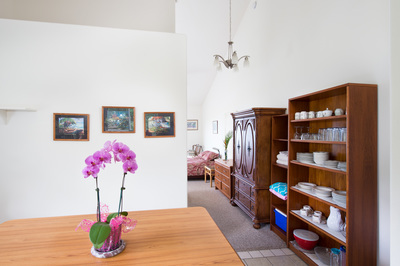 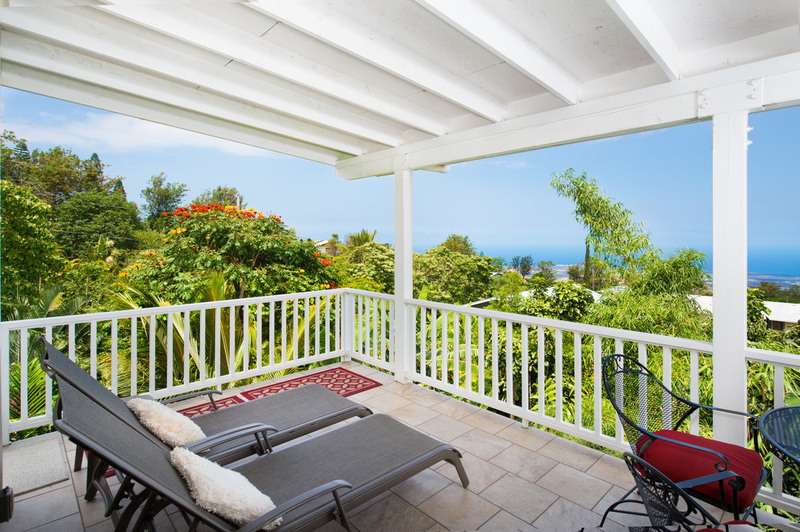 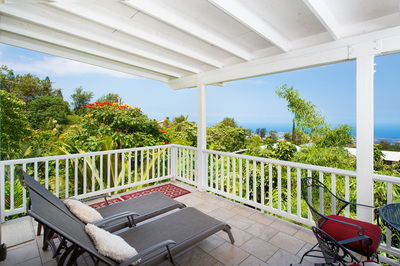 The Hibiscus Studio, Heliconia Studio and Ginger Room are on the first floor and have lovely garden views. 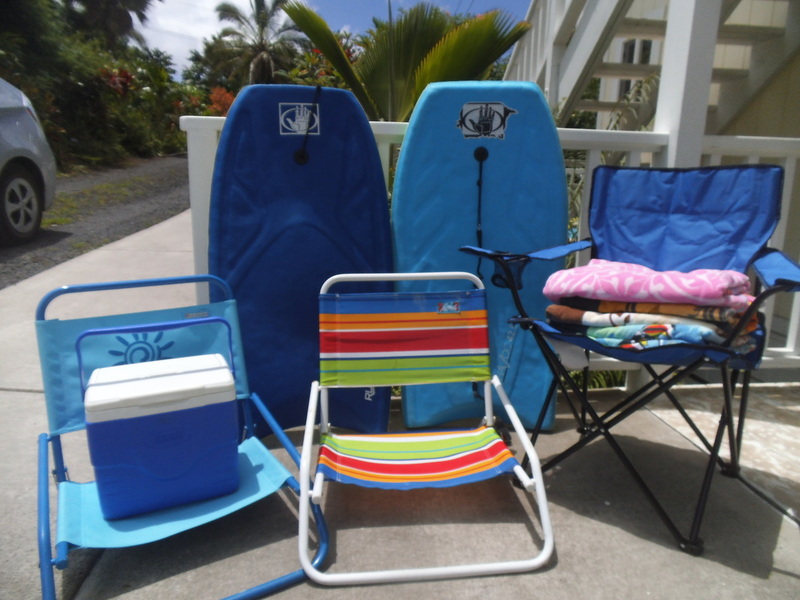 beach chairs/towels, coolers/icepacks, and boogie boards. 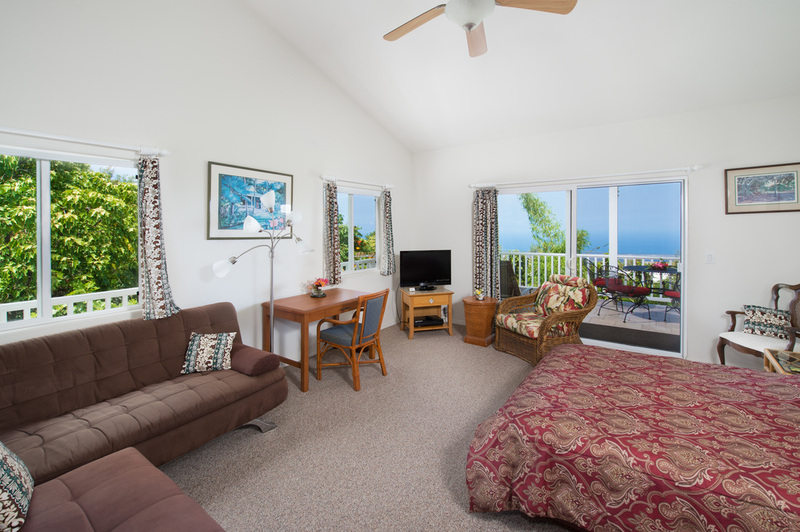 Our ORCHID SUITE is a beautiful, top floor ocean view suite (over 600sf) with vaulted ceilings and a well equipped full kitchen. It has a queen bed, 2 sleeper sofas, full bath, spacious, covered private lanai, LCD cable TV, and free WiFi. Our PLUMERIA SUITE is a spacious, top floor ocean view suite (over 600sf) with vaulted ceilings. 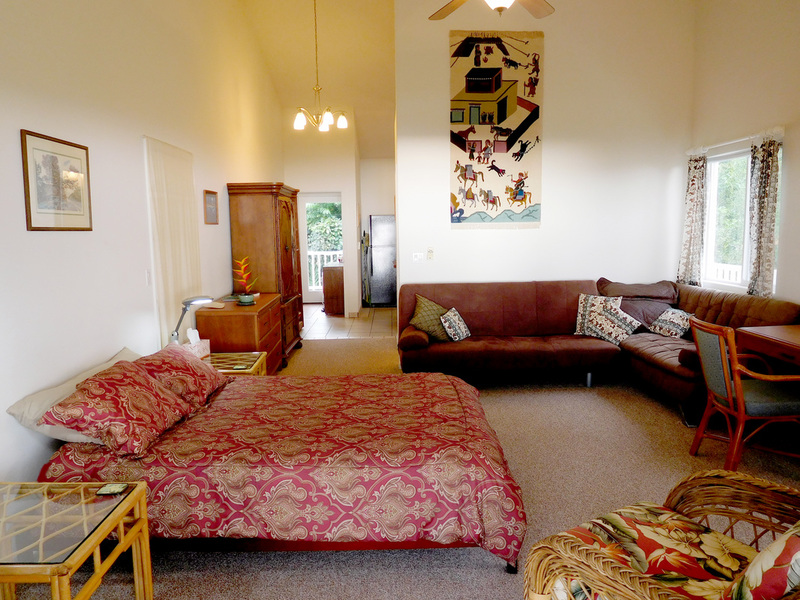 It has a queen bed in the bedroom and two sleeper sofas in the living room. 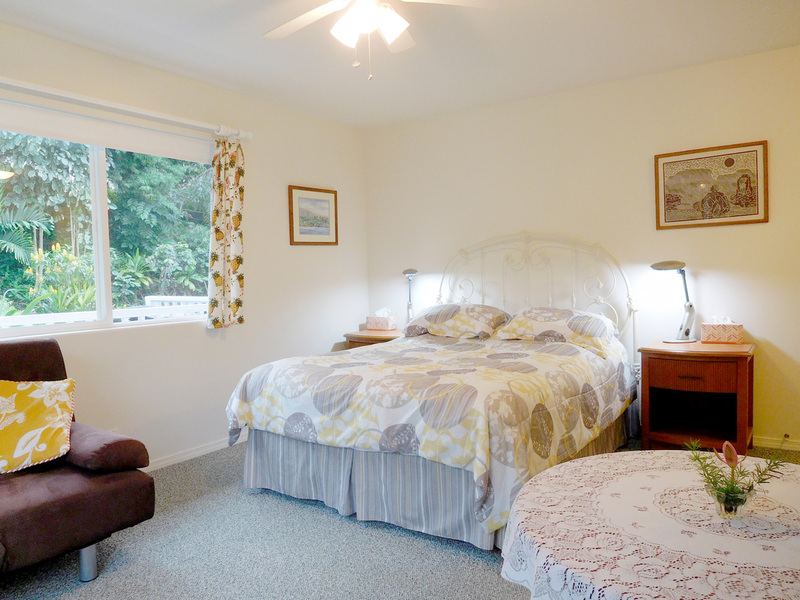 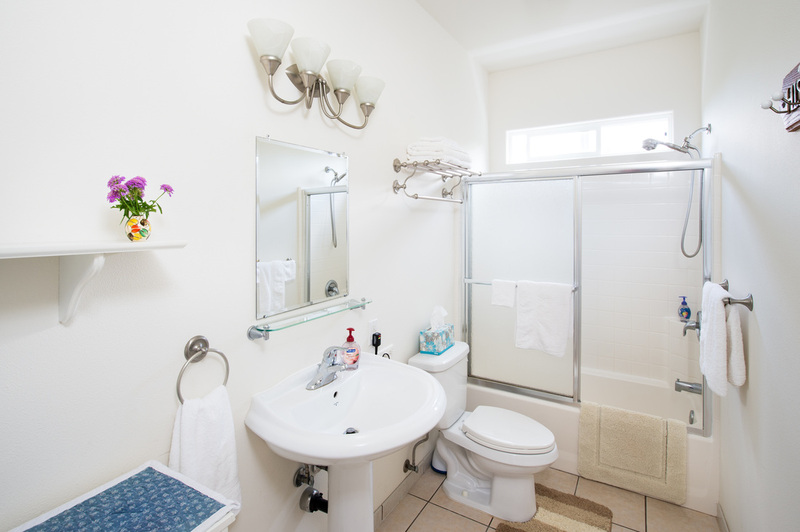 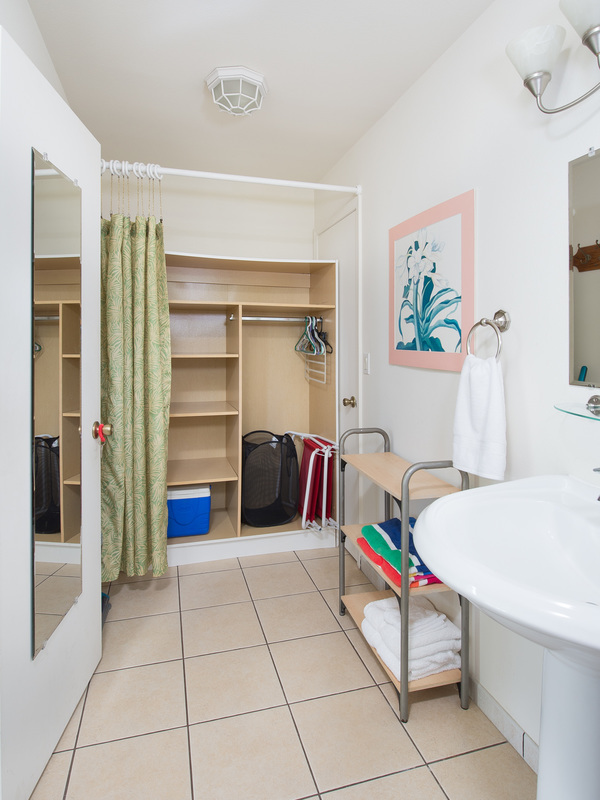 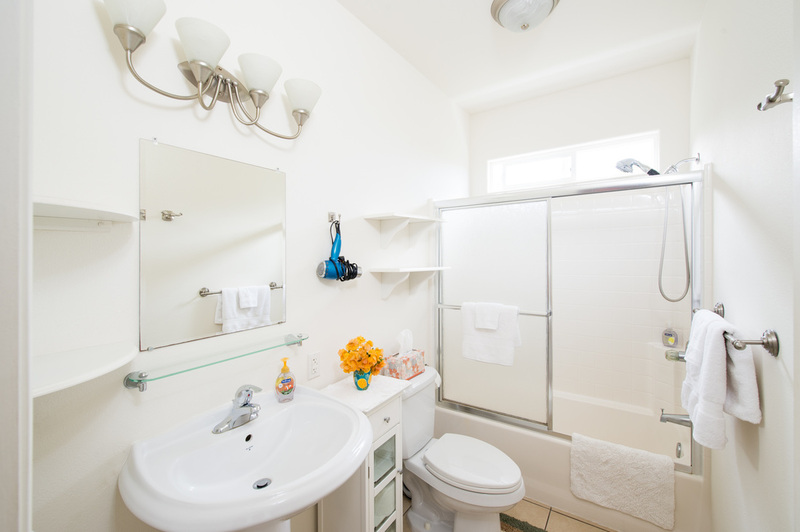 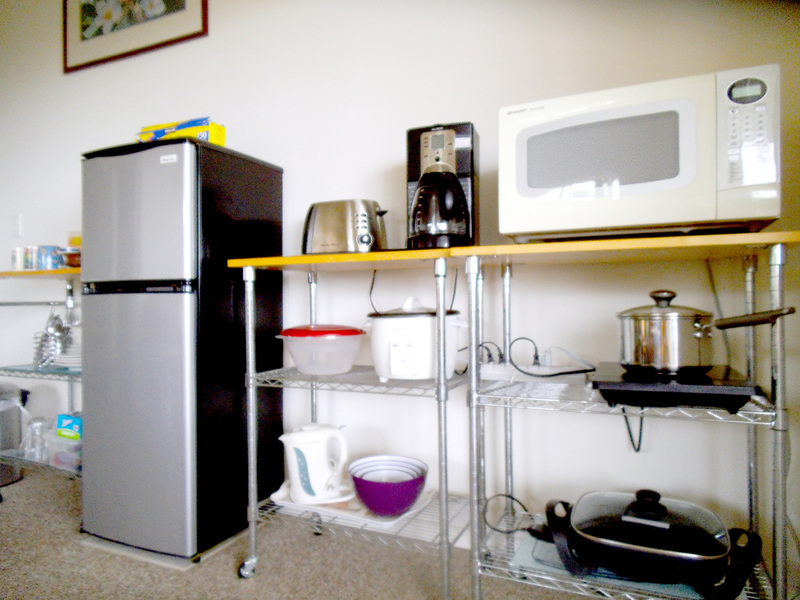 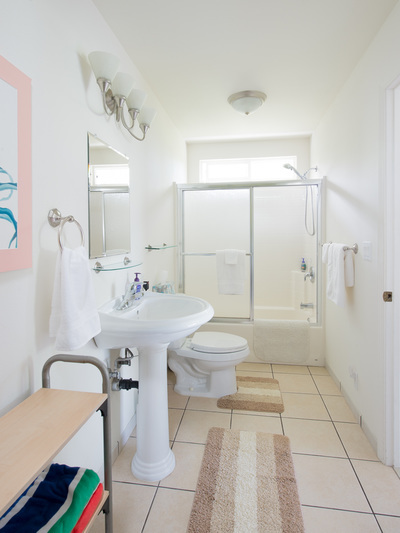 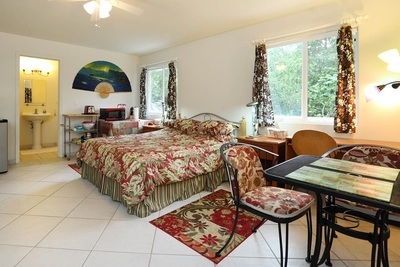 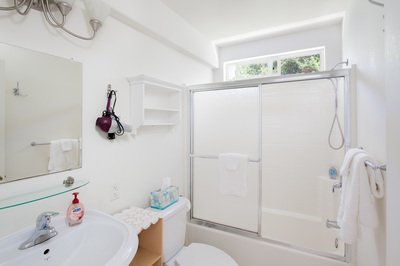 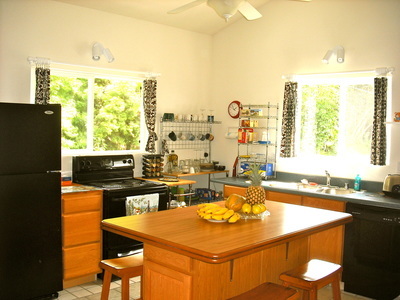 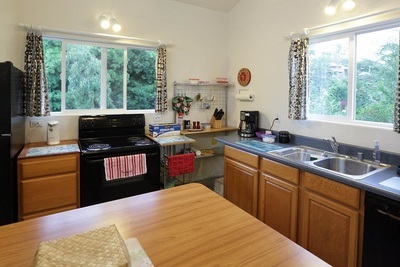 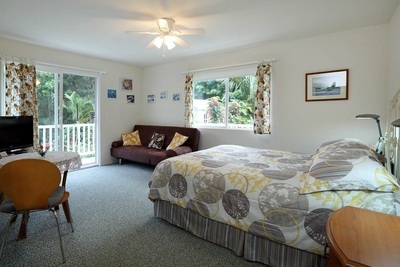 There is also a full bath, walk-in closet, spacious, covered lanai, kitchenette, LCD cable TV, and free WiFi. Our HIBISCUS STUDIO is a lovely, large, tiled, first floor garden view studio with queen bed, sleeper sofa, full bath, large, covered lanai, kitchenette, LCD cable TV, and free WiFi. 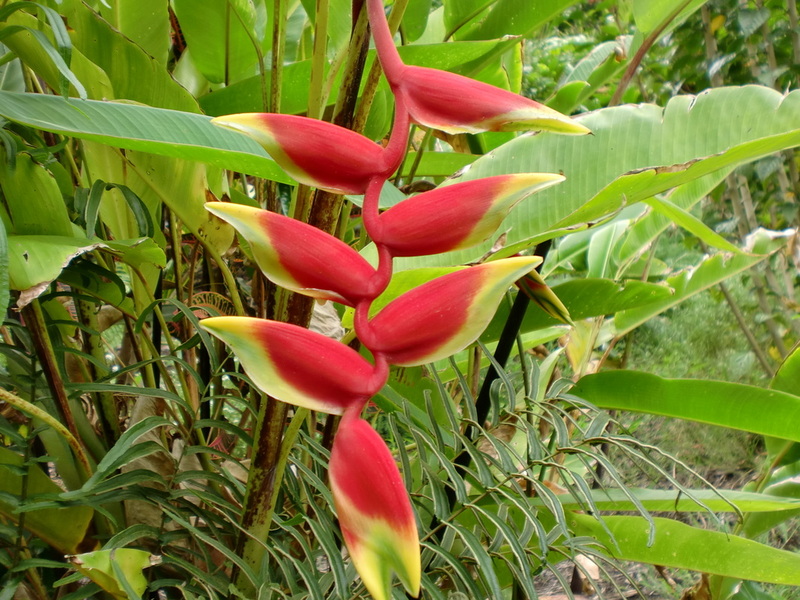 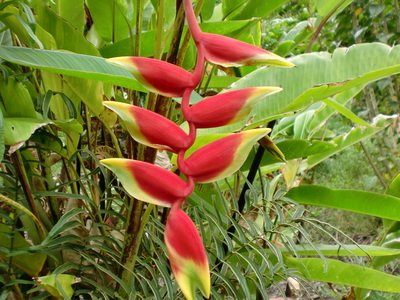 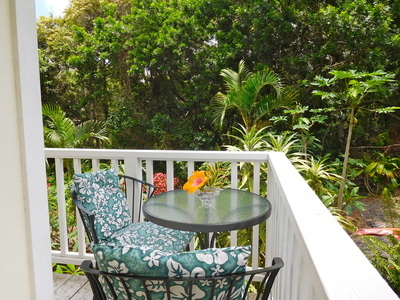 It has a wonderful garden view and the papaya and banana trees are so close you can sometimes pick the fruit from the lanai. 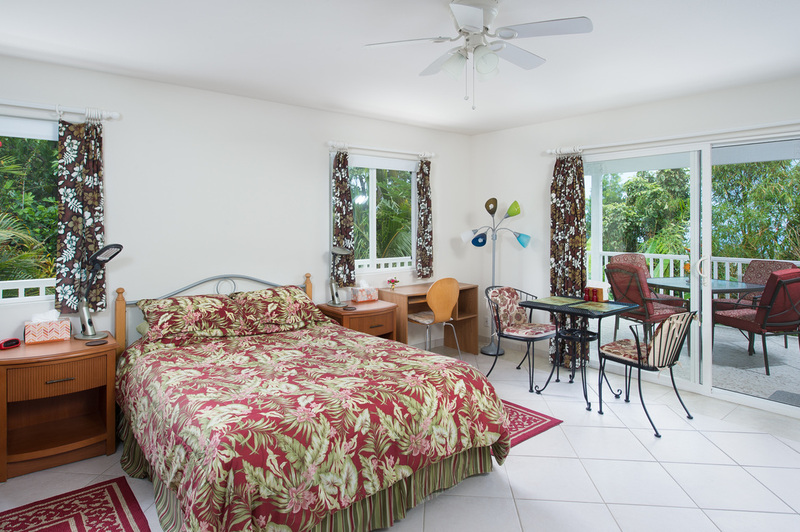 Our beautiful first floor, garden view HELICONIA STUDIO has a queen bed, sleeper sofa, kitchenette, brand new bath with extra large shower, LCD cable TV, and free WiFi. 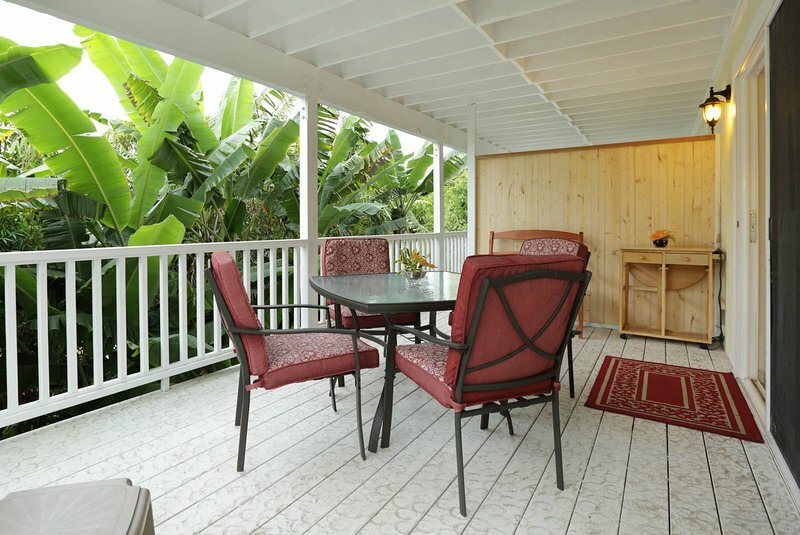 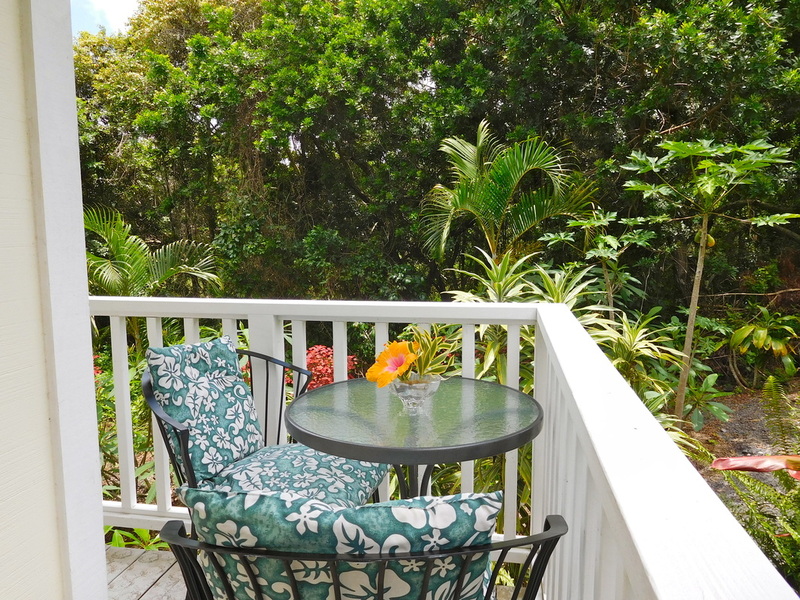 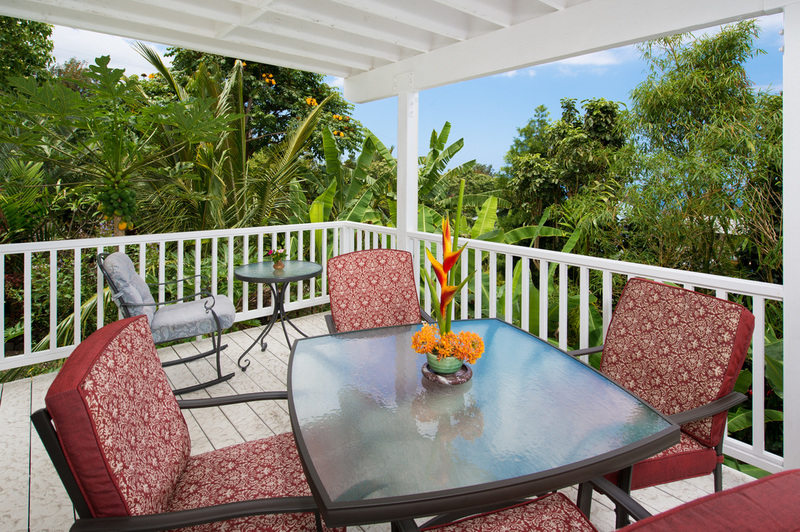 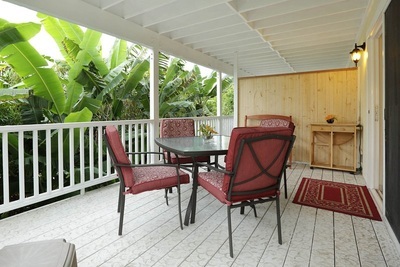 Listen to the rustling of banana leaves as you relax on the spacious, private covered lanai. 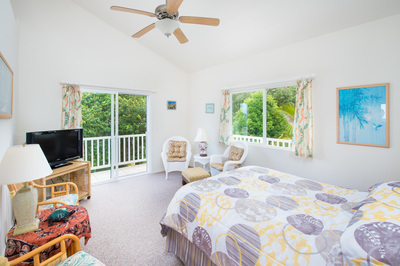 The charming, garden view GINGER ROOM, on the first floor, has a queen bed, sleeper sofa, full bath, LCD cable TV, refrigerator, coffeepot, microwave, hot water pot, small lanai, and free WiFI. 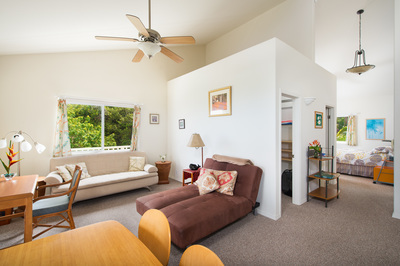 April Special! 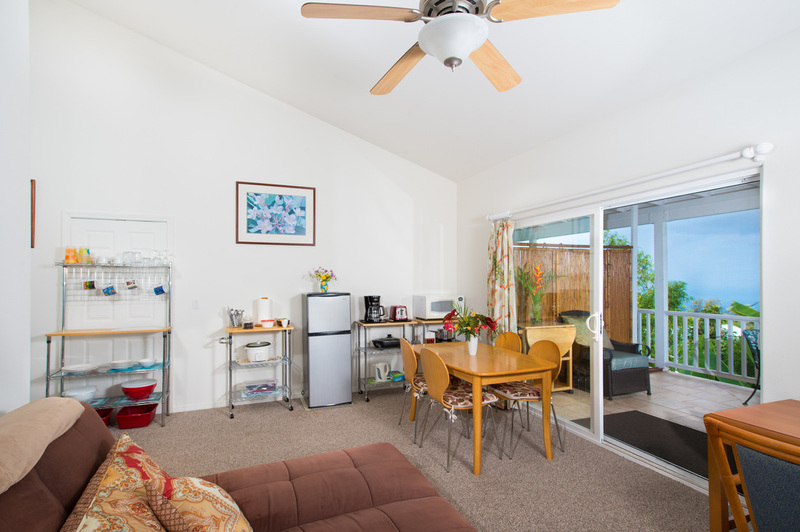 15% Discount on All Studios! Minimum Stay: 3 nights - Hibiscus Studio, Heliconia Studio and Ginger Room; 4 nights - Plumeria and Orchid Suites. Higher minimums may apply during certain seasons. Sometimes shorter stays are accepted, if only fewer nights are available. 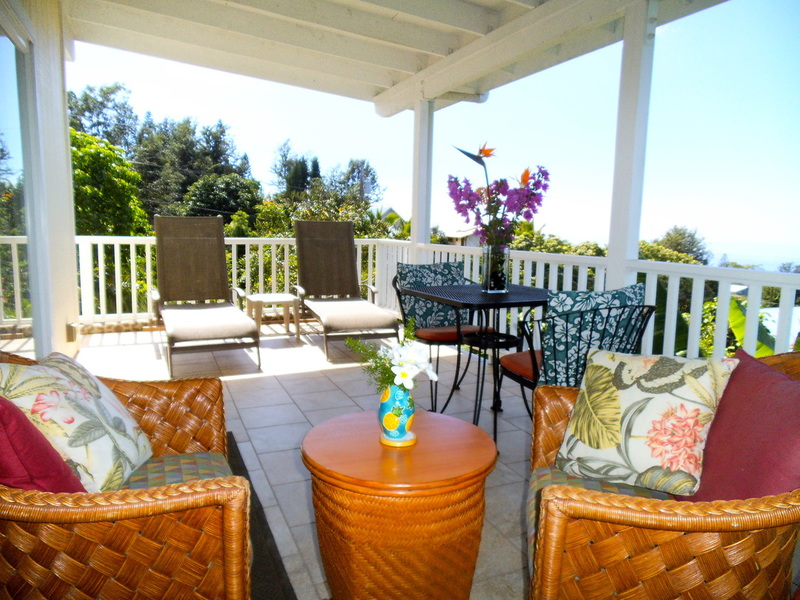 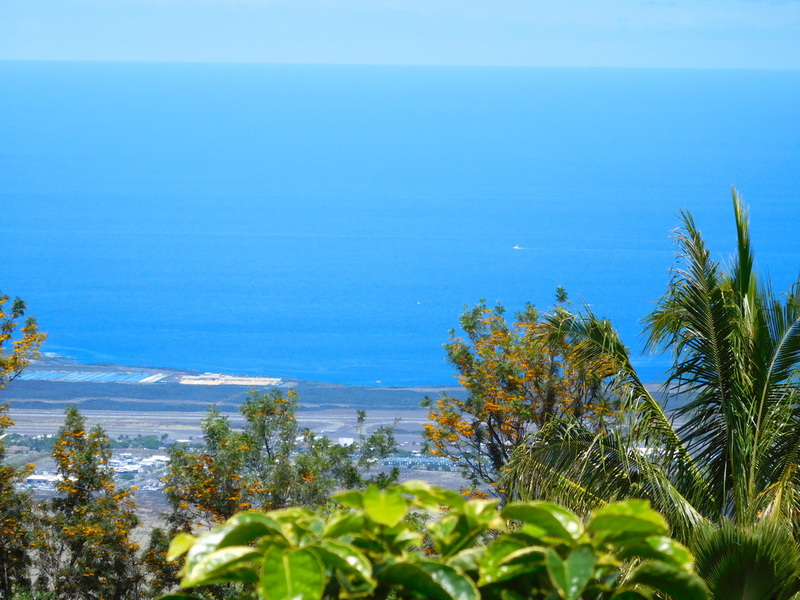 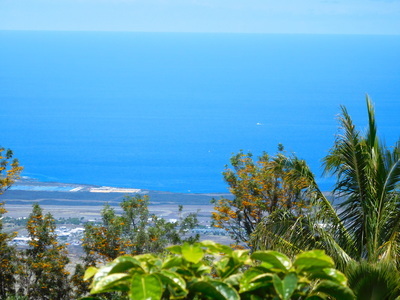 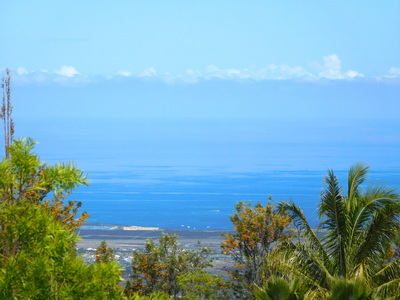 All rates are subject to Hawaii State tax of 14.687 %. 3rd and 4th Guests in any studio, including children, $20/night each extra. 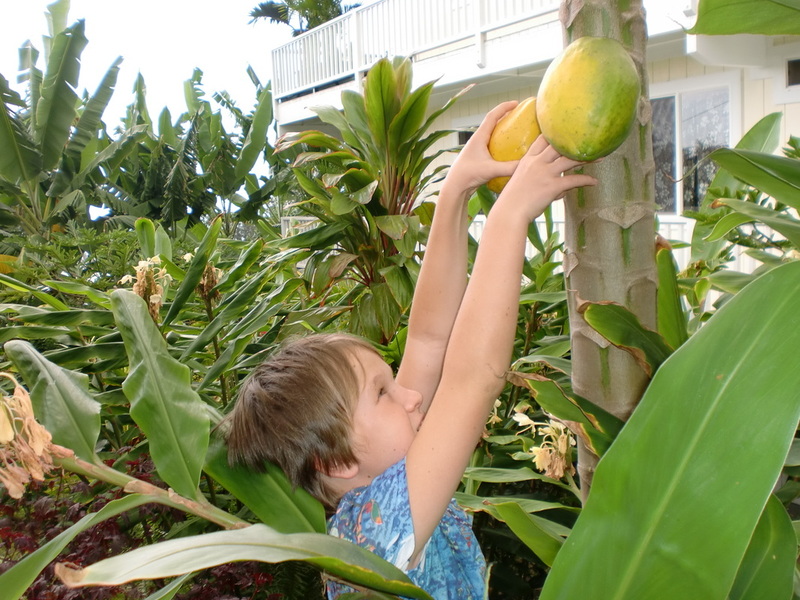 Children must be at least 2 years of age. Reservations: To confirm a reservation, a 50% deposit is required. 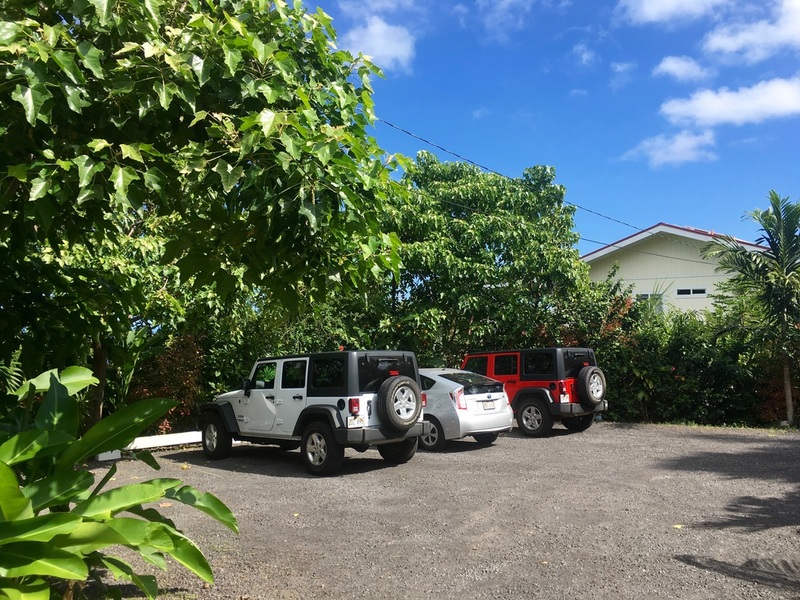 The balance is due at check-in. 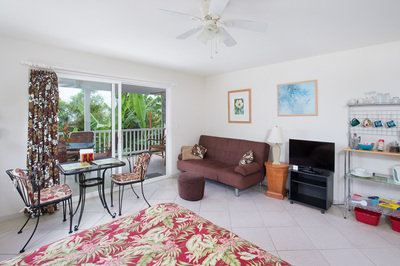 Guests who need to cancel can receive a refund, less a $35 processing fee, if they cancel their reservation in writing at least six weeks prior to scheduled arrival. 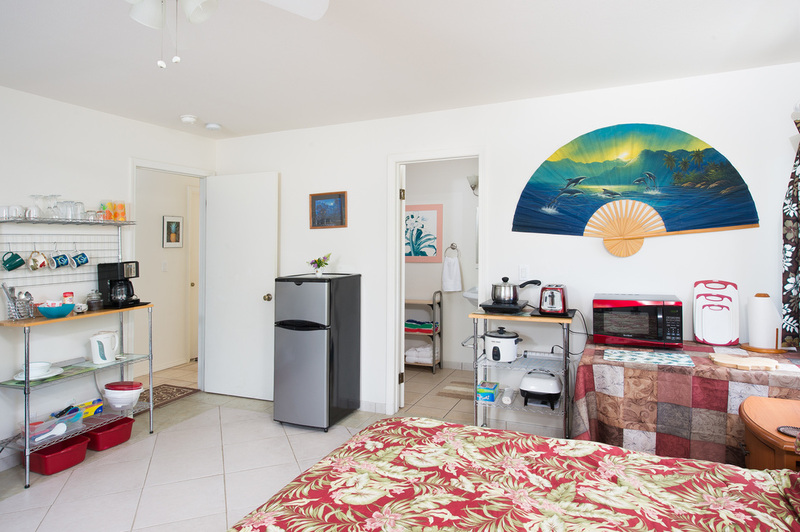 Guests who find it necessary to arrive late or depart early are still responsible for the full amount of their reservation.